Positively Rolling receives $9,000 in grants from The Queen of Heart’s Women’s Fund (Supported by TTCF) and Walton’s Grizzly Lodge. 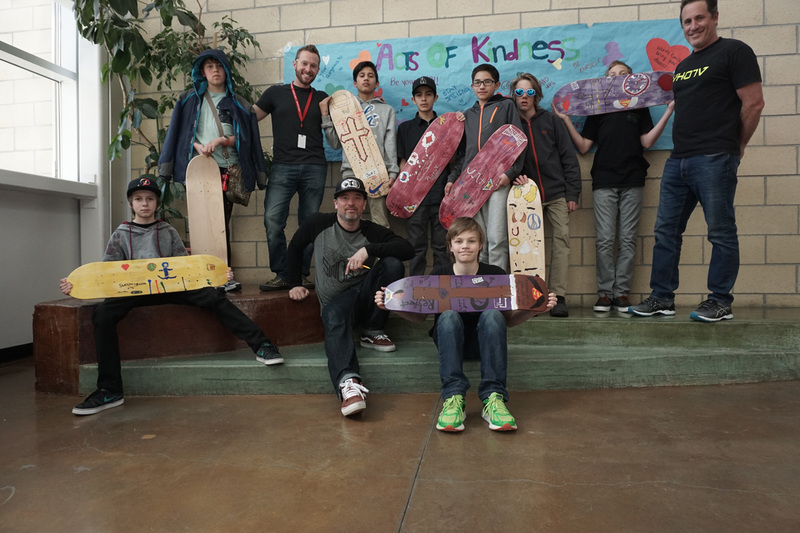 Positively Rolling is a Truckee nonprofit for local middle school boys that promotes positive self-awareness by engaging students in thoughtful conversations with adult mentors while making awesome art on skateboards. The Queen of Heart’s Women’s Fund is supported by Tahoe Truckee Community Foundation: a charitable organization that donates grants in many areas of focus, including education and youth development. The Walton’s Grizzly Lodge-Stein Family Foundation was established in 2009 to continue the legacy of their summer children’s camp and fund programs that benefit work with children. Positively Rolling operates under the umbrella of SELS and is funded through donations and community grants.